Haha sweat is fat crying???? Hahaha!!! 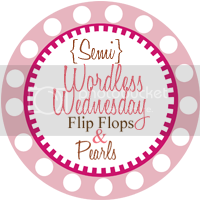 Coming from the Flip Flops and Pearls!!! Chips and dip? I'm so there! YUMMY! The Breakstone House Party is cool and the dip sounds great. I have not tried those chips (yet). I haven't met a potato chip that I didn't love, so I expect they will be good. I decided that it's perfectly reasonable that once a year I can sit down and allow myself to eat an entire bag of chips (preferably BBQ) in a day (be real, less than a day!). I haven't done it yet this year, so I'm thinking I'm overdue. What a great list! I like this idea of your best look in heaven.... what book is that from? oh wow - the butterfly eye make up looks just like your header, so pretty! don't forget to stop by and enter my monogrammed giveaway: either a monogrammed lunch tote, tote bag, or headband - there will be three winners!